Andre has been building positive relationships and providing an encouraging work experience for his entire 16 year career in marketing and leadership. He believes that robust relationships, unique experiences and continuous self-improvement are the key to a meaningful life and to achieving your goals. He pursues this by saying yes more often than no, by striving to be self-aware and by making an impact with every interaction he has. Andre started Wyse Coaching to partner with amazing people to achieve great things together. A Brazilian native and American citizen, Andre’s diverse background has provided him with unique experiences that he has incorporated into his coaching practice. He moved to the US in 1997 to attend Michigan State University and has been in the US ever since. Andre’s business experience includes stints in a college newspaper, a minority owned promotional products company, a multibillion-dollar marketing services organization, a direct mail life insurance company and a small advertising agency. He has been a marketing specialist, account coordinator, supervisor, learning and development program manager and a director of operations. In addition, he has worked with clients in the automotive, retail, food service and non-profit verticals. These experiences have allowed Andre to gain a view of marketing and leadership from several facets including a vendor’s side of marketing, an end client’s sensibility and an agency’s view point. Andre has also been married for twelve years and is the father of three wonderful children under ten years old. He is an avid music lover and is obsessed with learning everything and anything he can get his hands on. The coaching/client relationship needs to be one of mutual trust, respect and understanding. It also needs to be engaging and fun. At Wyse Coaching we want to ensure that we are the right fit for your needs. Reach out to us today and let's chat. We are looking forward to meeting you. 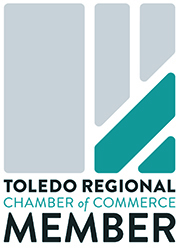 Proud member of the International Coaching Federation and Toledo Regional Chamber of Commerce. Resident Coach at Bamboo Detroit.